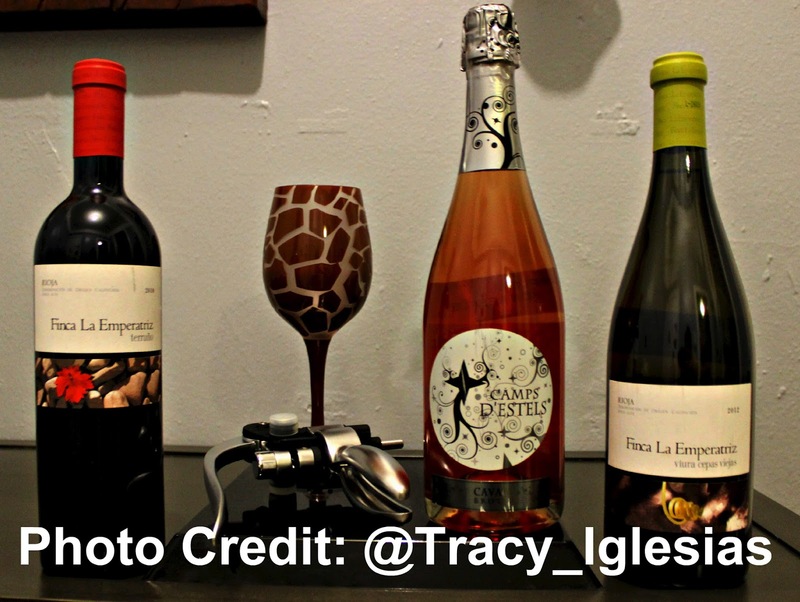 Note: This is NOT a Compensated Post - I WON this experience! While I have a ton of events I literally HAVE to recap, I am being naughty and sharing an experience I won access to today. 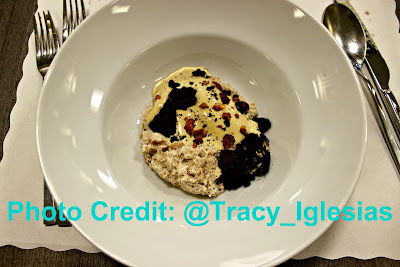 I couldn't resist, this is #FoodieFriday on the interwebs, how could I NOT put up something foodie fabulous? Especially when that something is being paired with WINE! My mom has been taking me to Macy's Flagship Store in New York City since I was a child and I literally had no idea that there was a cooking school inside the store! The Peruvian Demo and Dinner with Chef Erik Ramirez of LLAMA INN in Brooklyn, New York included Exotic Food Destinations: Persia, Argentina and Peru with wine pairings provided by Vias Imports and water provided by Acqua Panna S. Pelligrino (a butterfly has gotta stay hydrated!). 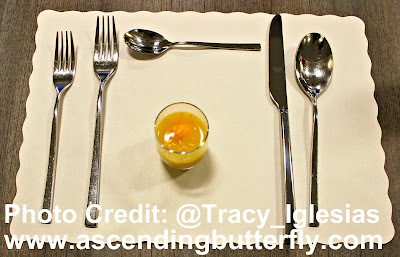 Above: Menu Starter: Gooseberry Leche - this was such a delicious, refreshing starter paired with the Camps D'Estels Cava Brut Rosé - off to a GREAT start in my opinion! Above: Roasted Beets, Goat Cheese, Muña, Gooseberry, Cancha - just in case you are wondering, yes that is the same salad, in the bottom photo it was plated on custom plates for Chef Erik's Restaurant. I can't begin to describe how delicious this salad was. One of the ingredients used Muña, is good for folks with arthritis, aches and pains as it has anti-inflammatory properties. Cancha is a peruvian corn nut - I had never tried either one before and it had been ages since I last had beets. I live for salads in the summer and this one is definitely going into rotation on my summer menu planning. The flavors literally burst in my mouth! The creaminess of the cheese and the crunch of the corn nut were such a pleasant contrast! Above: Duck Sausage, Cilantro, Jasmine Rice, Beer, Spinach paired with a glass of Fince La Emperatriz Terruño 2010 (RIOJA) red wine. I wish I had moved the Spinach a bit so you could actually see the rice and duck a bit better. I did like this one, and I am a cilantro lover, but I would personally dial the cilantro back just slightly on this one when I prepare it, just personal preference, and the Chef did mention that because he uses the stem instead of the leaf in his dishes the Cilantro flavor comes through a bit bolder. I would also remove any raisins in the duck rice. I love raisins but for some reason, just raw, not as ingredients in my cooking. For example I am Puerto Rican and many Puerto Ricans use raisins in their pasteles, and I do not like mine with raisins. So this recipe would get a few changes to make it my own but I would definitely re-make it as I love rice and sausage and the duck sausage was a nice surprise. Above: Dessert: Black Carob, Banana, Peanut, Chocolate - I have to apologize here, at this point I was not cleaning the silverware with my napkin and the placemat was looking 'lived in' by this point, but that's a good sign right? His bio on starchefs is so good I am actually linking you there! 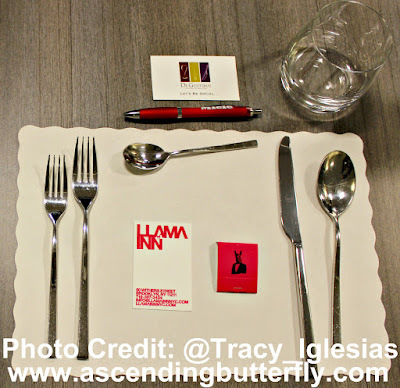 You can find Chef Erik at Llama Inn which is located at 50 Withers Street in Brooklyn, New York - after this tasting I definitely want to try out the restaurant! Above: Chef Erik was nice enough to take time to talk to attendees who wanted to thank him or had additional questions and I couldn't resist this candid shot! Above: One thing I needed to point out is that this was NOT a press event, I was seated in the back and instructed expressly not to use Flash, now I don't have one of those huge paparazzi type of lenses and I didn't bring the tripod, which was for the best there would have been no way to set that up and really be able to enjoy the class and not have the equipment in someone's way, so I have to say I was quite proud of my DSLR camera. I think I'm getting better and it's definitely time to upgrade my Camera and my lenses! Chef Erik was nice enough to let me take this shot at a much closer range than I had the opportunity to take all night which was great! 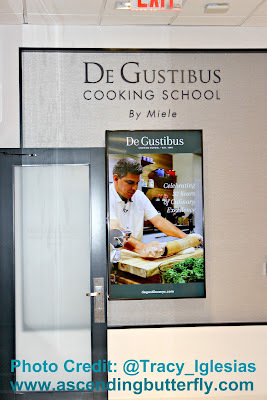 De Gustibus Cooking School by Miele was founded in 1980 and is currently owned by Salvatore Rizzo and was founded by Arlene Sailhac. Above: Owner and class emcee, Salvatore Rizzo is in the middle of both shots above. I couldn't resist nabbing a shot of him nabbing a shot of the team! I love shots better when folks aren't looking directly at my camera! Retail therapy as the school is located within Macy's Herald Square and a great dinner paired with great wines, SCORE!!! YES and YAS to that! As a single gal in the city I highly recommend this for a date night for so many reasons. It's not a dark movie theater, there is no pressure of 'am I ordering something too expensive from the menu', it is more of a demo where you watch the chef and not hands on, so no worries about getting some strange stain on your favorite outfit either. It's fun and pressure free - literally the making of a perfect first date. Works just as well for a girlfriends night out, a gift to a friend for their birthday (there was a birthday girl who attended the class in fact!) an anniversary gift, literally you name it, and it works! Chef Erik's demo was well paced, his food was flavorful and bold, the wine pairings were great and I will definitely be re-creating these dishes at home, with my own spin of course! 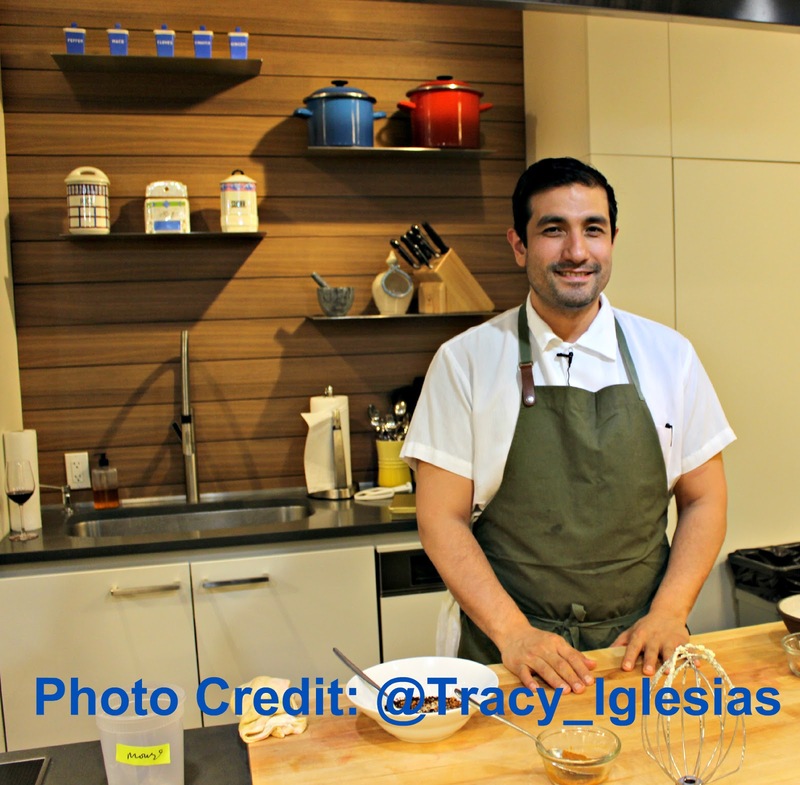 It was great to attend a Cooking School experience where I just got to enjoy as well. 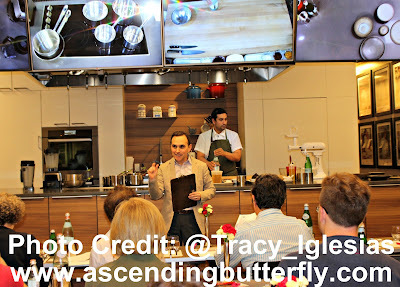 Most of the Cooking School Experiences I have had so far, many of which I have shared here, were totally hands on - which has it's merits as well don't get me wrong, but sometimes a tired butterfly just wants the meal to be prepared for her by someone else! It was nice having the courses and wine pairings selected for me so all I had to do was enjoy. And I would definitely throw it out there that they might want to consider a Press Only Event/Class. Only other Editors and Food Influencers get each other when we stop to take a ton of photos, help each other with staging, shine our cellphone flashlights on a fellow Editor's plate to give them better light, having to clean the cutlery ourselves between each course, stuff that I can see how easily it would distract someone who doesn't get it. And you guys know I love my 'pour shots', but that is one thing I couldn't quite capture because that took place before the glasses were brought out. School is out for summer but classes pick back up in the Fall - hopefully I can pair up with De Gustibus to do something special for my butterflies when classes resume in the Fall! 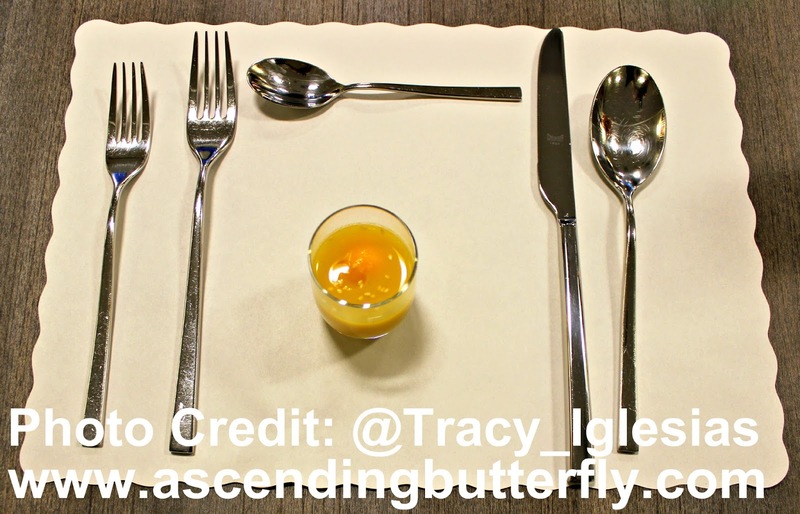 Let's use this as a fun focus group, butterflies what would your dream dinner be and who would the chef be? 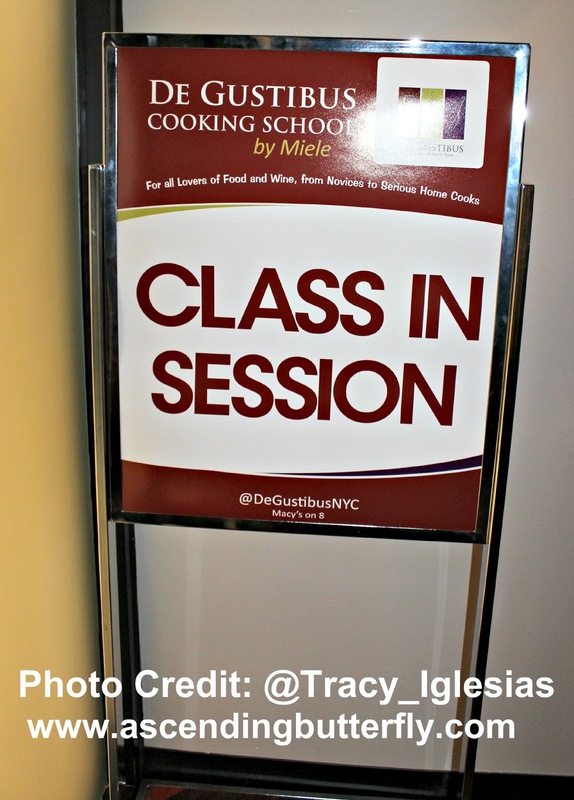 What master class chef would be YOUR choice for an upcoming cooking class? Would you add a favorite wine or go with spirits/cocktails? I personally would love to see a class that paired a good bourbon with the meal as I have been obsessed with Bourbon's lately. FTC Disclosure: I won my seat at this event, this is neither sponsored nor is it compensated and all opinions are 100% my own! I am disclosing this in accordance with the Federal Trade Commission 16 CFR, Part 255 - Guides Concerning the use of endorsements and testimonials in advertising, you may check our Giveaway and Disclosure Page for additional information regarding Ascending Butterfly Disclosure. This sounds like it was a great time. That food looks like it was amazing. This looks like an incredible experience. Congratulations on your win. That food looks awesome! That beet salad looks so tasty and the rest of the food looks yummy too. That looks like a great time, food and wine - can't go wrong! Lovely food options too! What a great menu! I haven't had a chance to eat out much (as a busy parent), and this sounds like it was a real treat. What a super fun win! I agree, I would totally enjoy this as a first date experience. It looks amazing! What an amazing experience. All the food looked pretty and delicious. Congratulations on winning this experience. I have never heard of duck sausage. I know my sons would probably love it. I am so jealous! This sounds so amazing! All that food looks incredible! Congrats on winning this experience. 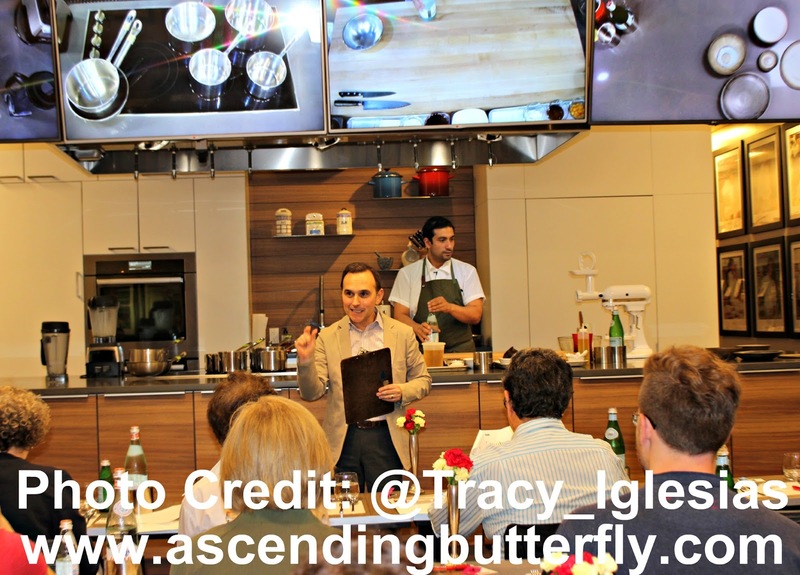 Oh my gosh- how fun, I would love to go to a cooking class! I love beet salad! OMG all that food looks absolutely delicious. It looks like such an awesome experience for sure. All of it looks so tasty I am jealous. What an awesome opportunity to learn some skills from a super talent! Plus, you get to eat it! Yes, please! Sign me up! The food looks amazing!! Oh my goodness, congrats on winning! This looked like it was amazing! Now this sounds like my kind of cooking class!! How fun!!! What an incredible experience, and so much to learn! 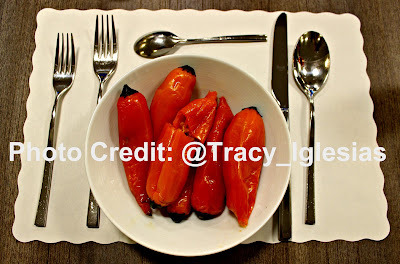 I bet those dishes were even better to eat than they look in the excellent photos - I am getting hungry just from looking at them, and I just had my breakfast! What a great school! I had no idea this existed. Way to go on your win. The food looks drool worthy and I bet it was such a memorable experience for you. I have always wanted to take a cooking class. I'm not the best cook in the world and probably could never reproduce anything that looks as fancy as what is shown in your photos. It sounds like you had a great time. Congrats! It's always so much fun to win something (anything really). But this experience looks so incredible! The foodie in me would adore the opportunity to sample all of those dishes. Wow. It really looks that you had an awesome time there and the food was so amazing. Wow. That was an awesome experience! It feels to good to win something. I haven't really won anything significant, just minor prizes but nevertheless, it felt awesome. The food photos in your post look incredibly delicious! 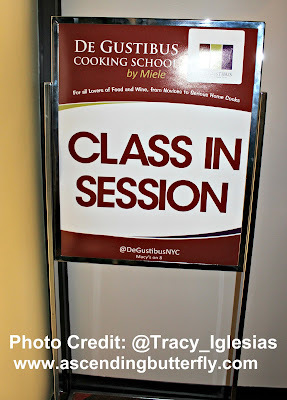 I have never been to a cooking class before. All I do is watch cooking shows on TV. 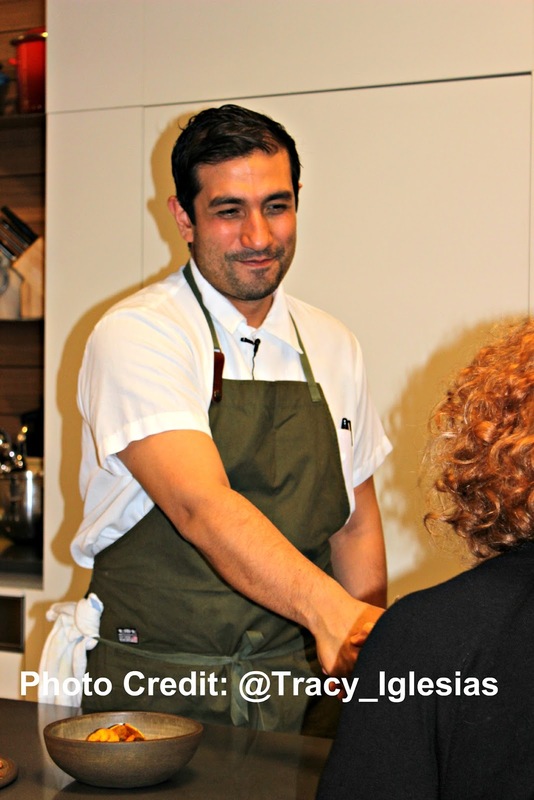 It must have been a great experience to be there watching the chef live and in action. Thanks for giving such accurate descriptions of the wine. I would be interested to try all three! You're right. It doesn't have to cost a million to taste like a million. Glad you had a great time at the cooking demo. A cooking school inside macys?! I never knew! Congrats on winning!